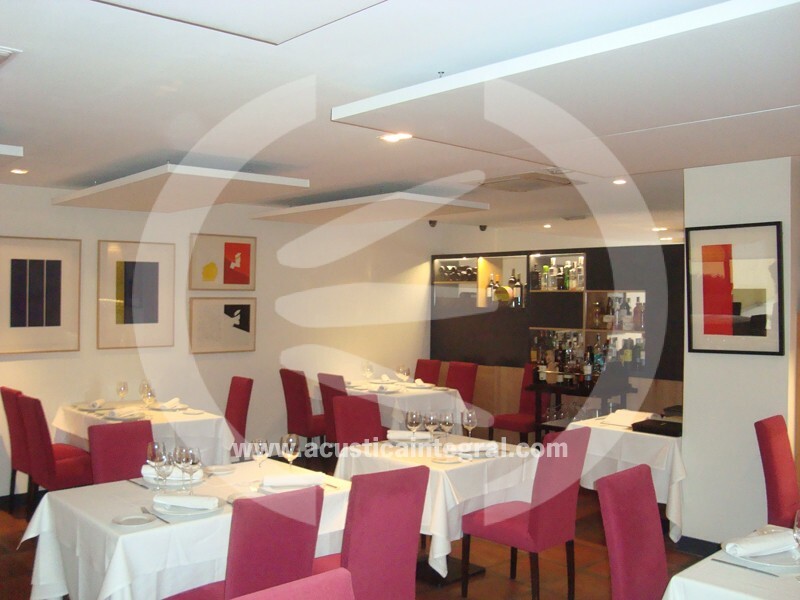 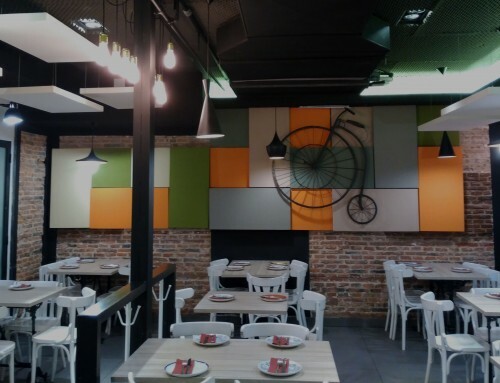 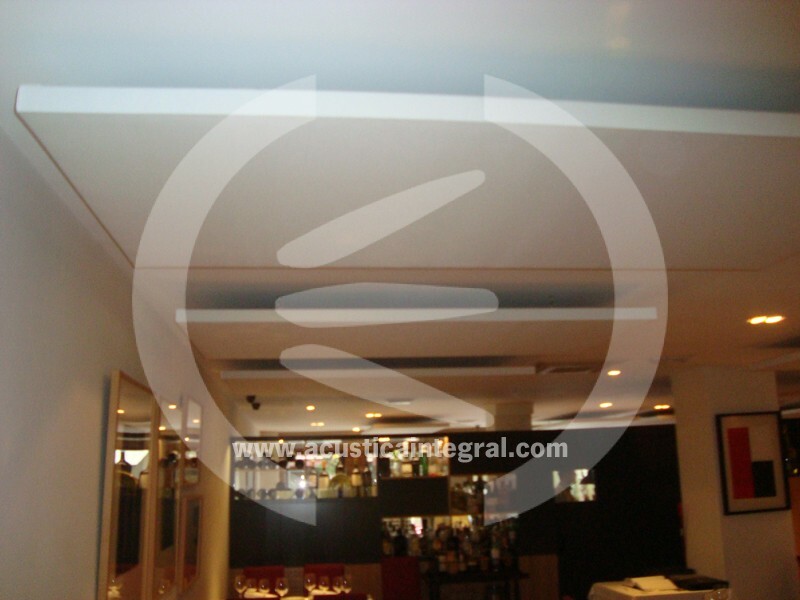 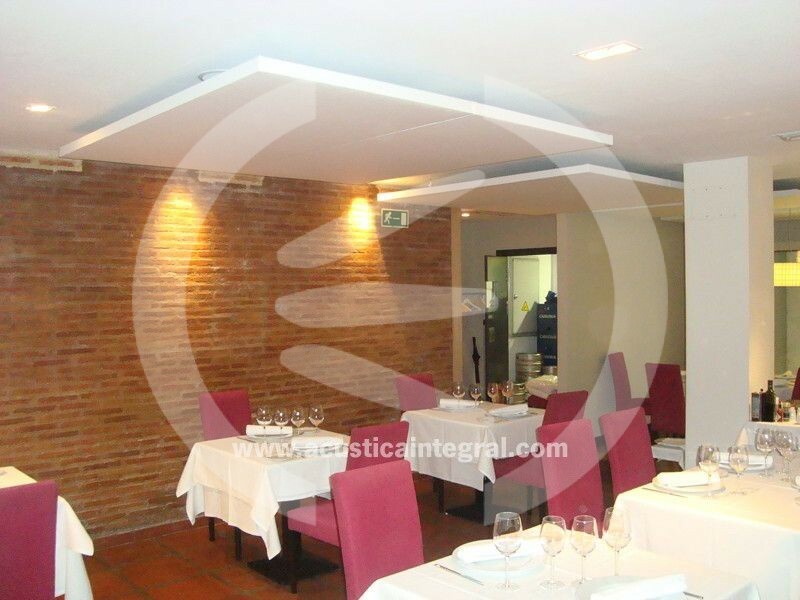 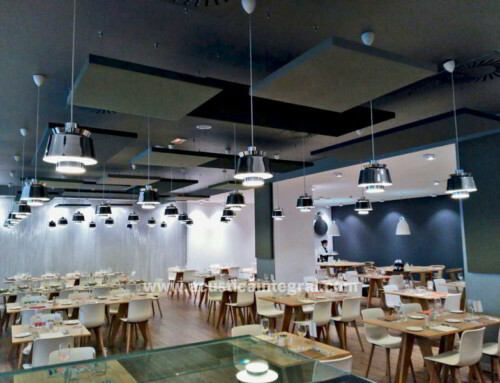 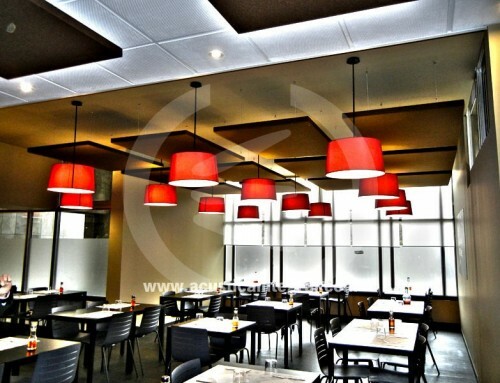 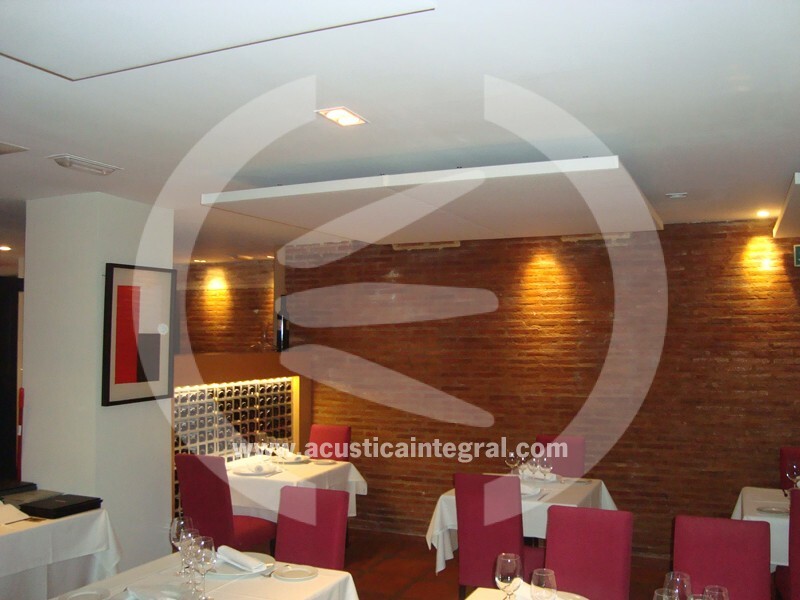 The restaurant with high reverberation times are very common, Acoustic absorbent treatment in Restaurant, but thanks to the absorbent objects you can control the ambient noise of local and reduce the nuisance caused by the many conversations that occur in them. 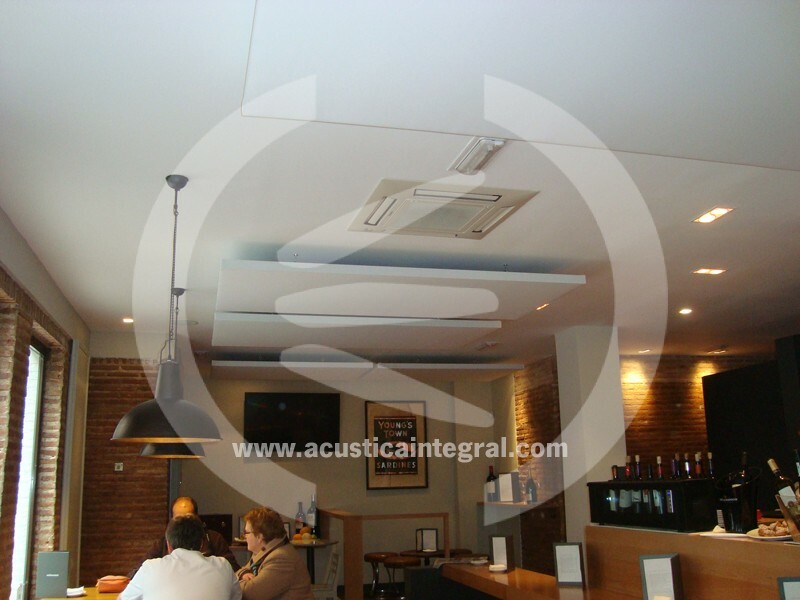 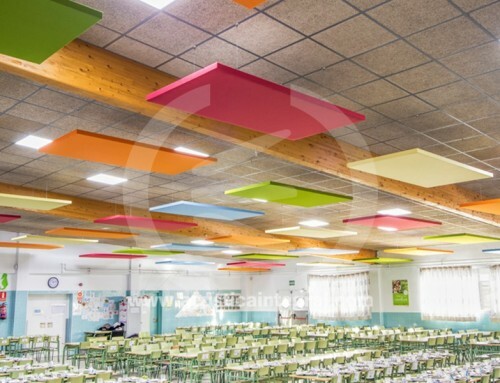 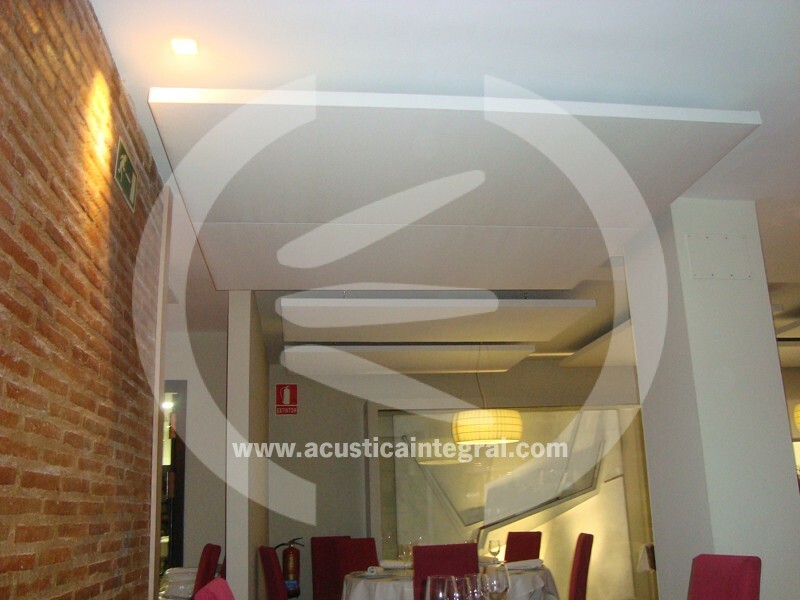 The Acustiart systems can achieve this goal properly integrating the acoustic part and decorative. 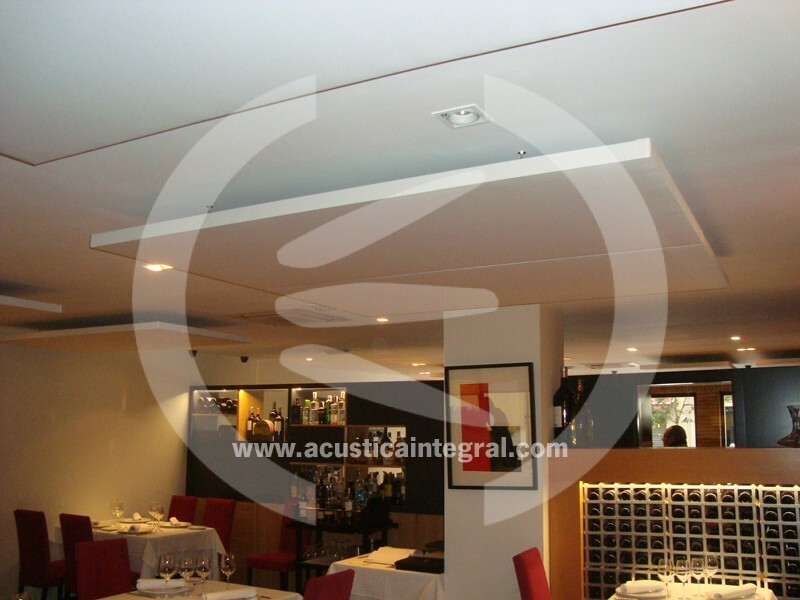 The customer could select the finished product within the standard range of fabrics available. 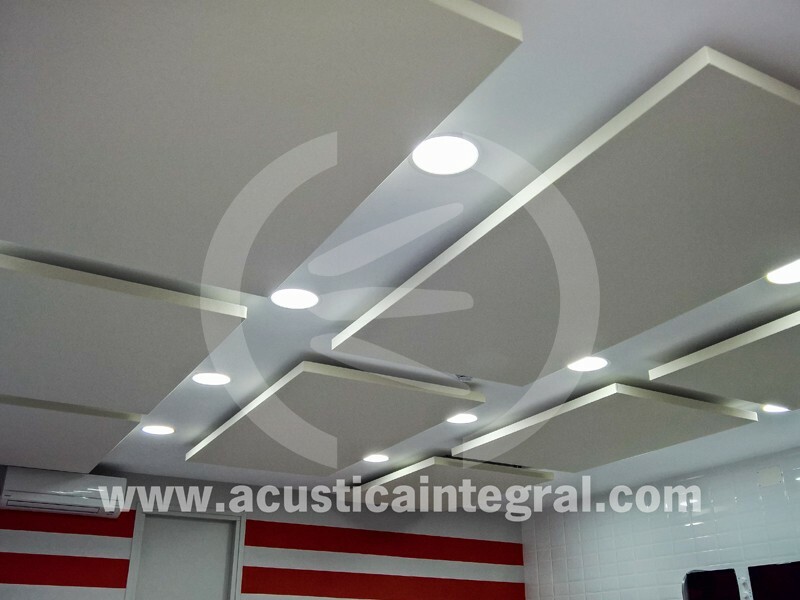 Acustiart Digital high absorption for wall mounting. 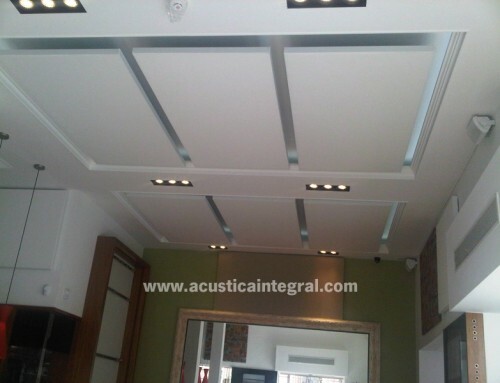 Acustiart for ceiling mounting, off-hook by suportación with Fixing Kit system.